Bloomsday, a festival celebrating James Joyce’s work Ulysses, is celebrated all over the world now, but had its humble origins in Ireland (of course) in 1954, the fiftieth year of Ulysses’ publication. Today, McGill University’s Community for Lifelong Learning helps unite all Joyceans and literary enthusiasts (and, let’s face it, perhaps a few people just interested in the food) in their third annual Bloomsday festival right here in Montreal, running from June 12 to the 16. Even if you haven’t read Ulysses, this is a great place to start getting immersed in Irish and Jewish culture. Kicking off this year’s Bloomsday festival is the Bloomsday cabaret at the Atwater library on June 12th at 10am, where you will hear songs that Joyce would have been familiar with in 1904 Dublin. The final event on Monday, and one of the highlights of this festival, is the keynote speaker of Bloomsday, Dr. Marilyn Reizbaum, who will discuss Joycean studies and their connection to the Jewish diaspora in her lecture, “Joyce, Ulysses, and the Jews” (Ulysses’ main character, Leopold Bloom, was raised Protestant—and baptised three different times—but is still considered a Jew to many of the people in the book). Five days of events means there is something for everyone. If you’re the scholarly type, Friday’s events include an event that promises to be interesting (and free!) discussion from a panel of academics: Dr. Emer O’Toole (Concordia), Tzvi Rivlin (UQÀM), and Dr. Jacques Pelletier (UdeM, French only), each giving their own perceptions regarding Joyce and Irish literature. These three lectures will be held at Concordia University’s McIntee Room from 12:30-4:30 pm. For those who want to experience culture through food, there’s an Irish breakfast being held at EVOO Restaurant in St. Henri ($23) starting at 10am. Hey, there’s even a pub quiz at the Irish Embassy Pub about everything Irish hosted by Montreal author Larissa Andrusyshyn. For all the festivity, the music, and, for some, the drinks, it is perhaps the readings that are at the forefront of Bloomsday. Kathleen Fee will be reading as Molly Bloom at the Irish Embassy Pub from 5:30-6:30 pm ($10). Finally, the actual day of Bloomsday, June 16th, will go back to Bloomsday’s roots and have events solely dedicated to reading Ulysses: from 12:30 to 4:30 pm, the Westmount Public Library will feature readings from amateurs and professionals alike, in multiple languages and styles. Closing off Bloomsday’s annual festivities will be a storytelling event by Chris Joyce (a descendent of James Joyce) held at Paragraphe Bookstore from 6 to 7:30 pm: if you want to hear about growing up as a descendent of James Joyce and how he and his family have helped continue the Joycean legacy, this is an event not to miss. 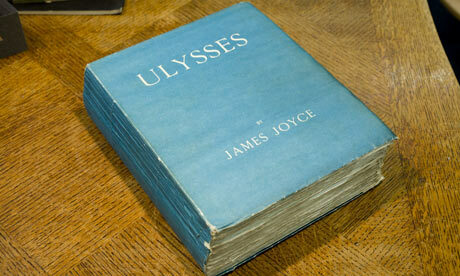 The James Joyce Challenge. 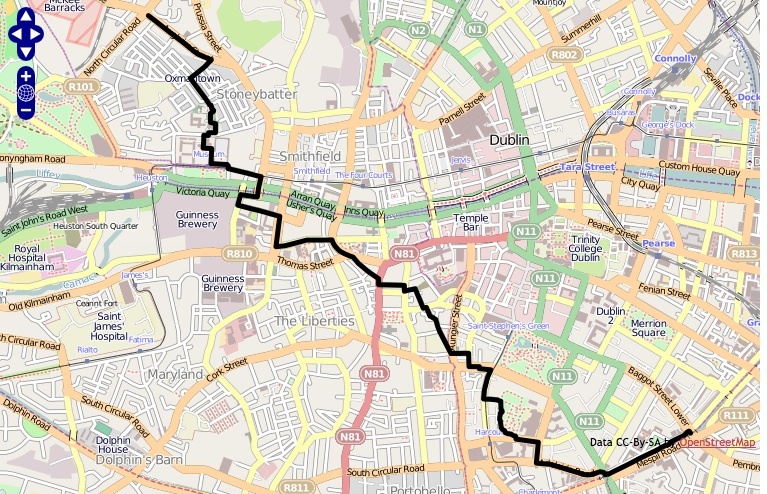 Can you walk through Dublin without passing a pub? yes. This year’s Bloomsday festival is one to watch out for. Registration is required for all these amazing events, even for the free ones, so be sure to register on the McGill website: http://www.mcgill.ca/continuingstudies/programs-and-courses/mcll/bloomsday/bloomsday-montreal-schedule. Note that the lecture about Joyce and the Jewish Community requires separate registration at the Jewish Public Library website. A “super pass” for all the events (excluding the JPL lecture) is still available at $50. The Bloomsday Festival runs from June 12 – June 16. See website for details.